A small group of academics and security contractors, drawn to quantum computing’s immense potential to improve processing power, are experimenting with ways to use the technology to counter and attribute cyberattacks. Last week, D-Wave, a leader in the nascent field of quantum computing, sold a state-of-the-art computer system to Temporal Defense Systems, or TDS, a cybersecurity firm led predominately by former law enforcement executives. Former FBI Deputy Assistant Director James Burrell is TDS’ chief technology officer and operations chief Kristy Kottis previously served as supervisor to the FBI’s Threat Response Squad of the Joint Terrorism Task Force. Kirkland, Washington-based TDS is reportedly the first private cybersecurity firm to acquire and apply quantum computing capabilities for cybersecurity purposes. TDS has offices in Seattle, D.C., Virginia and New York. Prior to TDS, D-Wave’s maiden customer was another government contractor, Lockheed Martin. It remains unclear exactly how Lockheed Martin is employing its own D-Wave technology. TDS is not alone, though, in its interest to leverage quantum computing to improve cybersecurity. 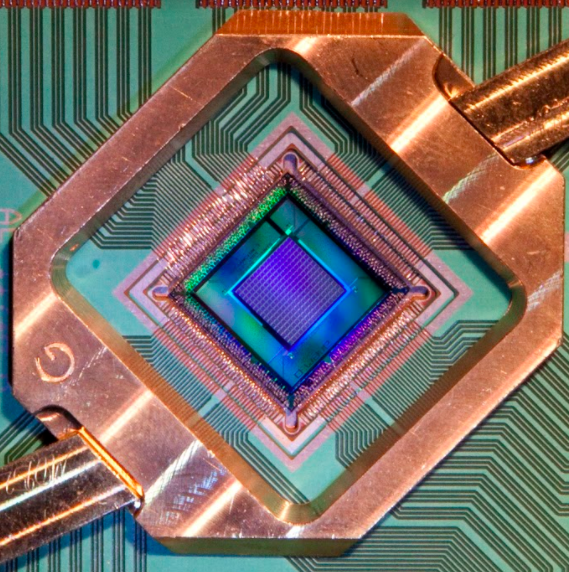 Unlike computers based on traditional silicon chips, quantum computers harness the quantum-level mechanics of atoms and molecules to perform calculations and store information. Their basic unit of computing is known as a qubit. A cohort of researchers have been given access to D-Wave products in an effort to discover new applications for the technology, said D-Wave President Bo Ewald. Mark Novotny, a physicist at Charles University in Prague, for example, is exploring how a D-Wave machine can empower machine learning capabilities to search for digital patterns and identify complex cyberattacks. John Seymour, a PhD student at the University of Maryland Baltimore County, has been researching how a D-Wave machine can quickly catalogue and classify malware in realtime. “Basically, the way that the qubits on a D-Wave system are interconnected enables graphs to be represented on a D-Wave system. Those graphs may be analyzed to determine likely connections between what might appear to be disconnected activities or events. When solving a problem a D-Wave system looks at a huge number of potential solutions and may be able to find connections or linkages that other approaches might not,” Ewald explained. TDS purchased one of D-Wave’s newest products, the 2000Q Quantum Computer, which is reportedly valued at $15 million. A company spokesperson declined to disclose the unit’s actual pricing. D-Wave claims that its 2000Q model is capable of processing and solving complex algorithms at a speed of roughly 1,000 to 10,000 times faster than a traditional computer server. Though security experts have previously suggested that quantum computing boasts the potential to break encryption algorithms, existing products feature only limited capabilities in comparison to the technologies’ theoretical potential. TDS is expect to use the 2000Q model to power real-time security audits, device-to-device authentication processes, identification of long-term persistent threats and to detect and prevent of insider threats, according to a joint press release. In October 2016, D-Wave launched D-Wave Government Inc. and opened a dedicated office in Washington, D.C., to cater to federal clients interested in purchasing quantum computing technologies. Ewald declined to discuss in-progress sales discussions. Founded in 2011 by Seattle-based technology entrepreneur Mark Tucker, TDS sells various cybersecurity services and solutions, including malware and cryptography analysis capabilities, incident response, vulnerability and digital forensics assessments, according to the company’s website. A company spokesperson told CyberScoop that TDS executives were unavailable for interview.